Feb. 7, 2018, 10:31 a.m. The want is super high for one of those, the only thing holding it back is lack of in the triangle water bottle. Look again, pictures on their website clearly show a water bottle mounted inside the triangle. Feb. 7, 2018, 8:39 p.m.
And as already mentioned there is mounts on the bottom of the top tube. Just in front of the seat tube. Feb. 8, 2018, 8:50 a.m.
Feb. 12, 2018, 9:29 a.m. I think my next bike will be in this category. 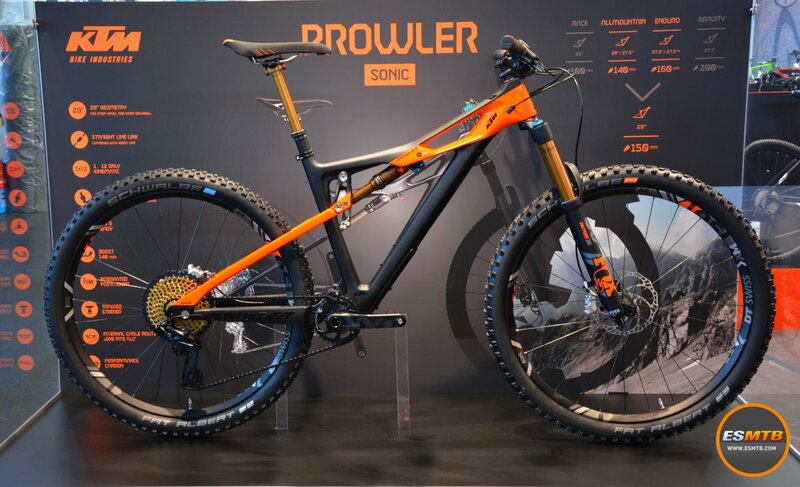 So far, I have demoed the Sentinel and Enduro 29, and both are awesome. The Sentinel is less efficient but more stable and holds better in high-speed corners than any other bike I’ve ridden, whereas the Enduro is more well-rounded and a bike I’d rather spend a whole day of pedaling on. The Sentinel maybe left me slightly more excited at the bottom of a descent, but I think the Enduro is the bike I’d rather own. Has anyone ridden both the Range and Enduro 29ers? If you have, how do they compare? Last edited by: D_C_ on Feb. 12, 2018, 9:32 a.m., edited 1 time in total. Feb. 12, 2018, 12:51 p.m. I did a quick pedal of both the Range and Sight one day , it was just a few tight figure eights and such. But it was enough that the Sight felt like a much better all around bike. Both bike where not stock I should add as they where Jim from Norco,s race bikes he , and his son raced on. Jim even agreed the Sight was a better trail bike and the Range was the descender. I have around 200km on my new 29" bike , i never rode a 27.5 and was on a aggressive 26" bike before going 29". Each ride I grow more and more respect for it, I just had 4 wks off the bike and it felt comfy from the first pedal stroke. It's a 150mm/120mm 67.5HTA and with my last bike 170mm/167mm 65HTA. I don,t fight the bike as much on the long up climbs , and on the downs I have yet too want more travel. A better tuned travel but not regretting running less travel. My plans this season , better wheels and climbing ratio , and work on tuning the fork and shock. The new coil conversion for the Fox 36 has peaked my interest. On the Sentinel did you find it awkward to climb with the 64deg HTA ?? Feb. 12, 2018, 1:25 p.m. I took the bike out on Chuckanut and only got a little bit of technical climbing in. The steep STA does a remarkable job of keeping the front end well-behaved. I didn’t find much in the way of issues there. My comment about efficiency I think has more to do with suspension kinematics. The Sentinel felt plush, almost too plush. On the way down, it was great but on the way up, it was seriously active. Some time fiddling with suspension settings could have remedied that, although the recommend 35% sag and I was at 33%. Last edited by: D_C_ on Feb. 12, 2018, 1:26 p.m., edited 1 time in total. Feb. 23, 2018, 12:52 p.m. The new Knolly Fugitive looks interesting , there is a 120mm and 135mm version. Feb. 23, 2018, 1:04 p.m.
Doesnt really fall into the 'long travel' category. Does look like a nice first effort into the big wheel realm (apart from the terrible name). Feb. 23, 2018, 1:39 p.m.
No not a true LT 29er but they definitely have LT geo , not many 120mm bike with a 66deg HT and capable of getting into the 65deg range as well. Feb. 23, 2018, 10:05 p.m.
long enough travel. this should be a killer bike. Feb. 24, 2018, 9:14 a.m. They have a bigger travel version coming out early 2019. I look at the geo and travel of the LT version and it is a killer ride IMO. Those big wheels help a lot and allow less travel and go just as fast. Plus they have a coil over optional shock as well. Lot's of Positives with this design. March 3, 2018, 11:51 p.m.
March 4, 2018, 8:49 a.m.
March 4, 2018, 11:27 a.m. Fugitive LT, #001 has landed in the LBS awaiting bling build kit. beautiful frame, dark cherry red with silver lettering. the rear shock linkage looks a bit more refined than on previous bikes. March 4, 2018, 2:14 p.m.
what shop has it ?? they stated July delivery date . The longer travel version peaks my interest , but it,s a year away still .